It’s the midway point in the NBA regular season, and by continually bisecting the rest of the season, we’ll eventually reach that finish line and make it to the playoffs. The Warriors are destroying everyone, the Hawks look like the best team in the east, the Cavaliers look like a real playoff team, and the Knicks/Nets/Lakers are still squandering their riches. But there are always look stories we can find and pick apart. I need a name for the type of signing where you target a 3/D guy or shooter who’s had one poor, out of character season and isn’t too old. Duldey is a great example of this, and he’s also a damaging critique on Doc Rivers as a GM. (Check out this fine article going point by point on how the Clippers dried up their assets and ended up with dust.) A while ago, they traded a valuable asset — Eric Bledsoe — and one of the major pieces coming back was Jared Dudley, a consummate professional and capable 3/D guy. However, he had an awful season and produced little. The Clippers responded by immediately trading him for … nothing. They brought back two guys they used the stretch provision on where they still have to pay the players but the cap hit is spread out over several years. Dudley was only 28 years old. He suffered no major injury, only small lingering ones. His shooting percentages were down, but they were still near league average — but his steals, defensive rebounds, and other stats were down. His defense was noticeably worse. But he was too young to decline this quickly and chances were that his numbers would recover given that he was in his late 20’s — and they did. Dudley’s playing well for the surprising Bucks, and while his RPM is perhaps fluky a mark of +4.2 is hard to dismiss — he’s certainly not a liability. A career 40% 3PT shooter (near that this season) is something the Clippers would love to have on the opposite wing on Chris Paul pick and rolls. It was shortsighted thinking and selling low meant they ate a lot of their own value by paying salaries to guys they wouldn’t even play. And to make matters worse, they paid the Bucks with a first round pick just to take Dudley off their hands. Going through the videos, there are actually few shots from the opposing team’s best scorer where Dudley is the defender; they use someone else for those guys and Dudley often comes off the bench. However, when he gets the job, he performs well and the Bucks play better defense with him. 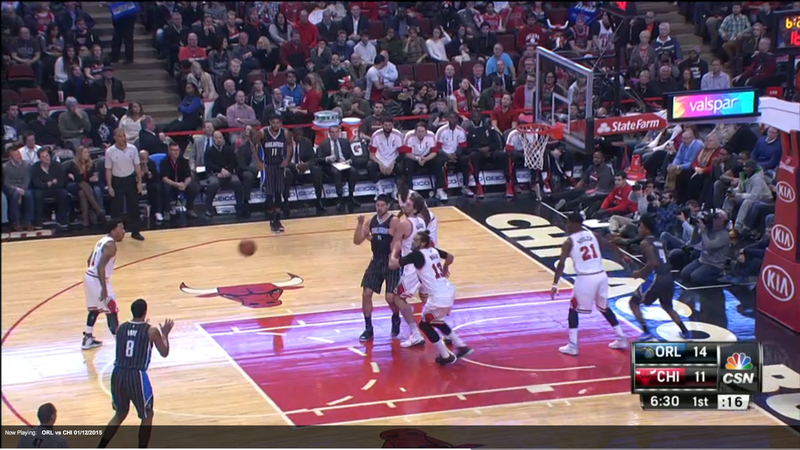 For example, here’s a play where he stops Mirotic and strips him clean. 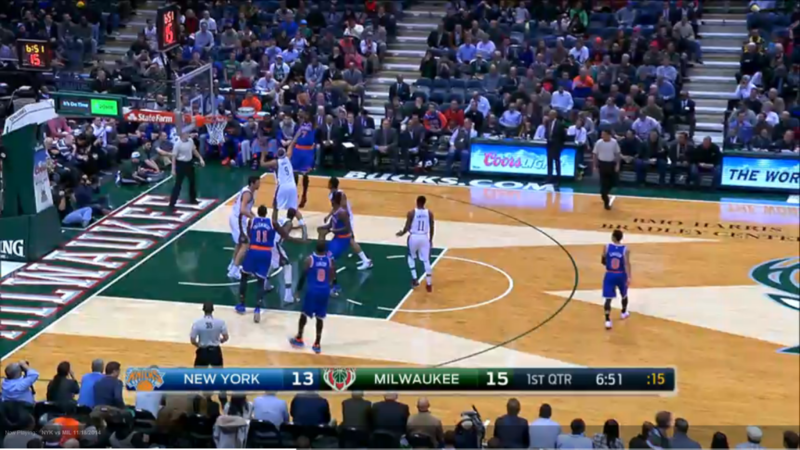 Then in this video and the snapshot below, Carmelo posts him up, turns around, and misses the jumper when Dudley uses a Battier on him and puts his hand over Carmelo’s face. 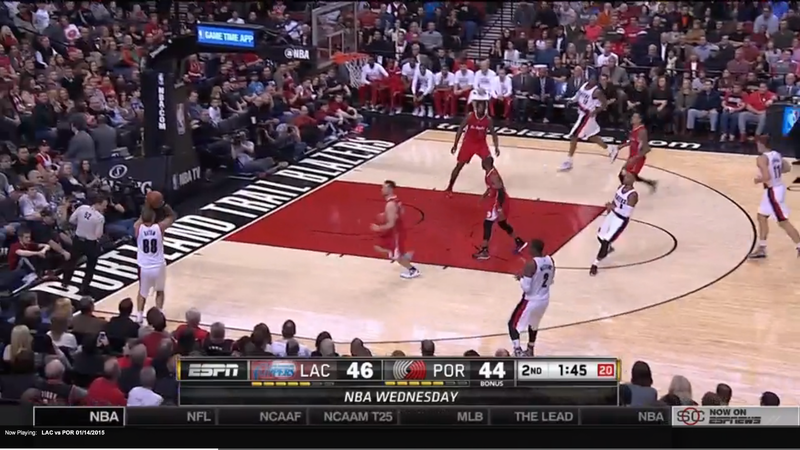 Batum, Where Did Your Outside Shot Go? Let me get this out of the way by putting it bluntly: we can stop any notion of trading Batum by correctly labeling it as exceedingly foolish. It would be the epitome of selling low and it’s that type of short-term thinking that sinks franchises via poor management. We can learn from a mistake like Dudley above. There is no way Batum will keep playing this bad in the future, and he’s even younger than Dudley was. Unless we know he’s suffering a debilitating injury is or has harsh emotional issues to work through, Portland would be stupid to give up on him now. 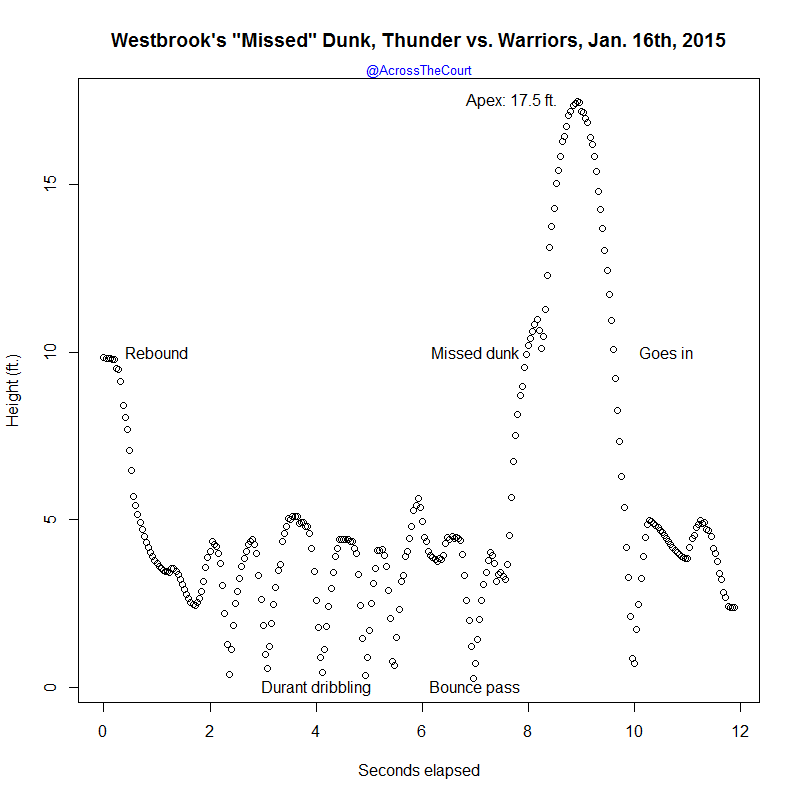 When does a tall, lanky small forward who can shoot and pass become washed up at age 26? Look at Batum’s stats: it’s really just his scoring that’s fallen apart. His shot efficiency has dropped from well above average to horrific levels. He’s shooting less often all around, and he’s getting to the line about half as often. Yet his rebounding numbers are near his career averages, his assist rate is still around 20, which is excellent for a wing, his steals are actually up, his turnover proportion is about the same, and his blocks are near his norms too. If you look at his shooting percentages by zone, thankfully he’s still an amazing finisher inside: 76%, which is prime LeBron-esque, and his 2PT percentages aren’t too dissimilar from his norms — he’s down on long two-pointers but fine in the 10-16 range. It’s just that his 3PT percentage has completely abandoned him, and those are half his shots (he’s always been that three-point happy, by the way.) That probably led to a loss in confidence in his shot and dropped his shot volume too. And once you throw up shots like an airball(video here) when he’s completely open as seen in the picture below, it’s easy to keep losing that confidence in a negative feedback loop. So what do you we do now? We don’t pile-on Batum and call him a problem, and we don’t urge Portland trade him for crappy parts for a playoff run. It doesn’t seem like a knee problem earlier in the year is the culprit because he’s still finishing well, and a fall onto his wrist doesn’t explain the poor percentages before December. Three-point percentages are notoriously fluky and sometimes a shot abandons a player for a season, or half season, and it normally recovers — especially for a young guy. His athletic indicators are still there — his finishing percentage inside, his steals, his blocks, his rebounds. He’ll be fine. I had to share this even though it’s made the rounds on the internet. You can see the egregious flop in the below gif and the full video of the play here. While flops like that are a mockery to the game, flopping itself is not necessarily. What’s really happening is that these players are competitive and look for any edge, so if you can sell a call with a bit of acting to help your team win you forget the aesthetics and flop wildly. But when it fails, it’s brutal. Cleveland’s biggest problem may have been LeBron’s mortality, but after a period of rest and recovery he’s more explosive and efficient near the basket. For years, LeBron was the master of the inside shot, converting field goals at a percentage in the 70’s. He combined a volume and efficiency not seen since Shaq. In fact, using the stats via NBA.com going back to 1997, LeBron’s career FG% inside of five feet is 71.1% and he’s led the league four times with at least 200 attempts. Shaq’s? 70.9. And LeBron has the highest FG% for a season with at least 200 attempts with a scintillating 78.2% last year. Before the time off this year, LeBron was shooting 65% within five feet of the rim. After? It’s up to 77.5%, which is more in line with the numbers we’ve seen from his prime. Years ago, people assumed LeBron’s effectiveness would wear off quickly because he was reliant on athleticism, but he hits inside shots largely through skill — he made a lot of these layups last season. It takes great balance, strength, and a knack for the glass. In fact, he hit a crazy bank shot later in that game where he was falling away and surrounded by defenders. The Cavaliers have a lot of ground to make up, and they’ll need LeBron at his best to do it. The internet is used all too often as a soap box for armchair quarterbacks, but sometimes an issue needs to be discussed. Recently, there’s been news that Noah tore his meniscus last spring, which would explain his slow start. I’m not really sure what the validity of this story is, though if you go back to the news items released before the season it was usually called an arthroscopic surgery to clean out his knee. Other sources stated that he had cartilage removed, and we’re now hearing about his meniscus — yet, of course, reports indicated that he was ready for the season and was just a little more cautious. I don’t have all the facts to this case, and I’m not sure what really happened with his knee. But I do know that the Bulls came into the season with the deepest frontcourt rotation in the league and Thibodeau has managed to destroy them. If you’re unsure if your star center needs more time to recover and rest his knee, and you have the luxury of having two starting caliber big men with a promising rookie power forward on the bench, then please go ahead and rest him the first part of season. 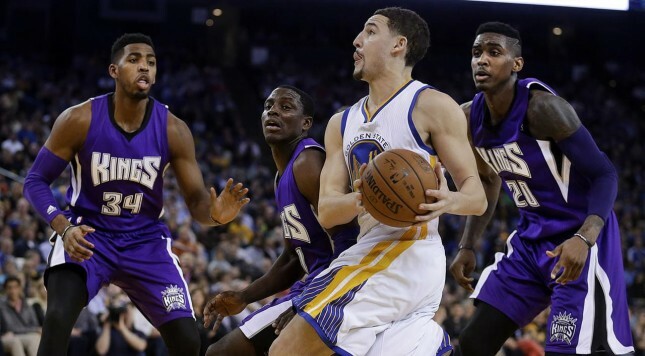 The NBA is a marathon, and all that matters is how you’re positioned in spring. It would have been an ideal opportunity to get Pau Gasol comfortable by letting him start at center next to a real power forward, Gibson, and feed him touches to find synergy with his other teammates. You can then integrate Noah slowly and figure out the lineups/rotation from there, while letting Mirotic find time in a crowded rotation to get used to U.S. ball. Rest can do wonders for a guy in his 30’s — just ask LeBron. I understand if the doctors cleared Noah, the team has a right to play him, but he’s looked terrible at times and playing next to Pau Gasol is not an ideal fit. Somehow, we’re thankful he has an ankle injury now because it might help his knee to rest — or whatever else is happening. Putting Noah on power forwards in the modern NBA is an issue because he should be near the rim, and after losing a step this season he’s slow to recover back to challenge shots like the Frye three-pointer below. But Pau’s feet are in concrete and he’s often too slow for a center, much less power forward, which makes the Noah/Pau pairing a legitimate problem. In this video you can see Noah stuck to a guy on the three-point line as Pau watches Payton waltz to the rim with no resistance. Here’s another one where Oladipo drives to the rim and Pau doesn’t even leave his feet even though he’s right under the basket. Pau looks done now too, and since Noah is injured again there’s no opportunity to rest him — that happens when you play an old player heavy starter’s minutes when he already looked washed up on his last team. Ideally, he would have backed up Noah and started when Noah was out because both are more like centers, but the deepest big man rotation in the league is falling apart. The team power rankings on the Nate Silver website are a welcome relief from previous “dumb” versions of rankings elsewhere, and I swear I had this exact same idea a while ago but was hesitant to implement it since I didn’t create RPM. Basically, something like basketball-reference’s SRS is fine for historical purposes when you have less information, but we don’t need a ranking system that says a team beating Oklahoma City without Durant and Westbrook is the same as beating them now. Plus, ranking OKC by assuming the games without those two stars have the same weight as with them is obviously incorrect. I had always wondered how a system that was just average RPM would fare versus SRS — something like RPM is preferred because it adjusts for who’s on the court, which is something a team point differential system is blind to. Obviously, with the large world of betting, there are people who have better methods, but it’s useful for the public for a simple ranking system with some estimated strength for each team. And hopefully FiveThirtyEight will keep this updated. During one of the best regular season games, well, ever — there were some points during the game where the breakneck speed never let up with few stoppages and a deluge of athletic, skilled plays — Westbrook drove to the rim for a huge dunk and clanged it off the rim. Except that on the way back down the ball actually went in. Recently, someone shared a Wired article with me about a type of statistical distribution that shows up in numerous places. You can excuse my ignorance on the subject because I hadn’t heard of this before and I haven’t learned about it in depth, but I thought it would have relevance because it shows up in models that have strongly correlated variables, and that’s a big issue with NBA modeling. Kurt Johansson is a world authority on the Tracy-Widom distribution, one of the new distributions arising from random matrices. He illustrates this with an example where 10,000 dots are randomly placed inside a square. Let’s go back to the NBA world for a second. ESPN’s RPM is pretty well-respected by now, though the details still escape most people. What we have on ESPN is single season RPM, which is still really useful especially for guys with breakout seasons, but a long-term RPM can be more effective for the future. You can see a release of that here where LeBron is still king at +8.0 but Curry is close. Zach LaVine, sadly, is the worst player in the league estimated at an absurd -7.6, representing and perhaps taking the brunt of Minnesota’s dismal season as the rookie with no experience on the previous decent team from last year. That’s quite a large range, but as anyone who’s taken at least a basic statistics class might wonder, what’s the distribution like? People probably assume it’s a normal distribution where the curves are symmetrical on each side, but let’s graph it using a density plot and see what happens. 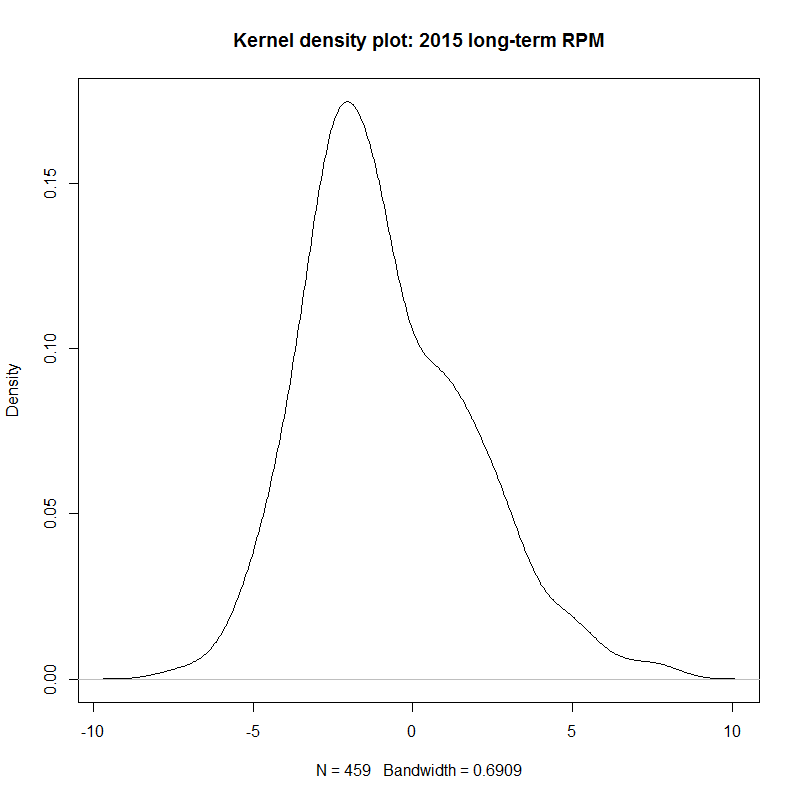 That is clearly not a normal distribution — it’s skewed to one side. You can quantify this with the Shapiro-Wilk test, and the p-value there is on the order of 10^-7, though the Q-Q plot (and, frankly, the one above) gives it away. (For what it’s worth, that’s true of offensive only RPM and defense too, though they’re less severe.) But doesn’t that curve look familiar? 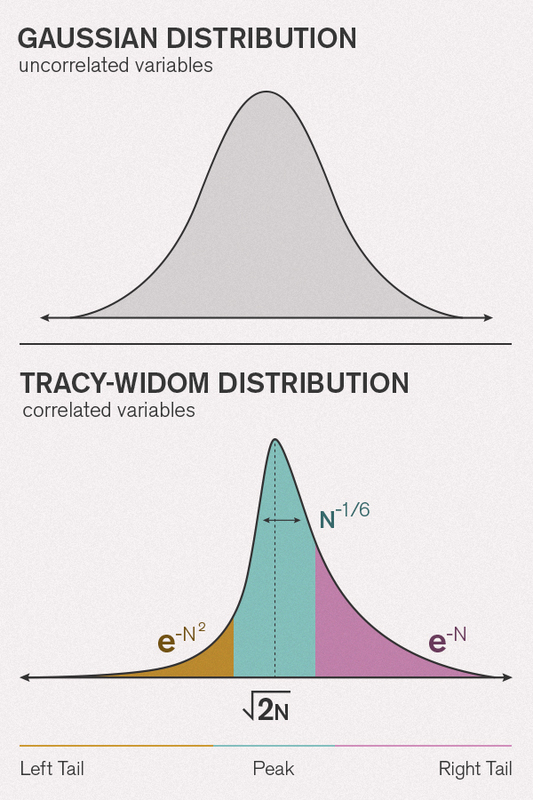 So yes, the distribution looks like a Tracy-Widom distribution where it peaks a little to the left of 0, is steep on the left, and has a softer curve on the right. Mechanically, what I think is happening here is an interaction of of a bell curve of talent and the replacement speed of below standard players. There are more players at -6 in the world, for example, than ones at -1, but NBA teams are more likely to employ the guys at -1 because they’re more useful. The curve is steeper around the -2 mark (also commonly known as the replacement level for the NBA) because the worse you get, the more likely you are to lose your job or fail to get one in the first place. Also, the mathematics of the ridge regression in RPM will warp the estimates, although that’s reduced a bit because RPM is a blend of counting stats like shots, rebounds, etc. I don’t claim to know all the math behind this distribution, but it’s worth looking into — and we can’t assume normal distribution.